Boys and girls between 8 and 10 1/2 can have the adventure of their lives in their local Cub scout pack. After a number of weeks settling in and making new friends, Cubs are invested and earn a necker, a distinctive scarf which shows they belong to a specific group. This combined with their distinctive green sweat shirt, shows that they are ready to make friendships and step up to life. Why become a Gateshead Cub? Cub Scouting is about having fun, growing as a person and a community. 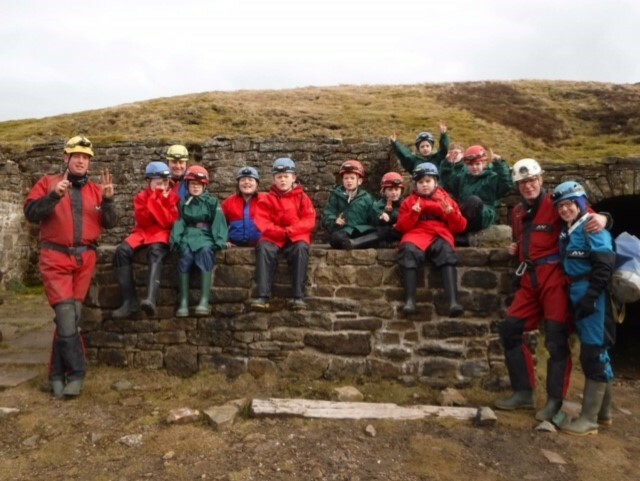 Cubs get opportunities to try a host of thrilling activities, from caving to canoeing, climbing to den building, all within a supportive and happy atmosphere which aims to develop resilience and a positive attitude to challenge. As Gateshead Cubs, young people have the chance to work in their pack during a weekly meeting where fun, games and opportunity are top of the agenda. Gateshead Cubs are also encouraged to explore their local Cub community and make friends by attending District and community events such as indoor climbing, outdoor den building and bush craft days. At the heart of the Cub adventure is the outdoors and the highlight of a young person's time in Cubs is the regular opportunities to go camping, indoor and out, with new friends and old. On camp Cubs thrive on growing independence and the capacity to try new things. From the first time sleeping under the stars, to the gusto of the camp fire, Cub camp is where memories are made. How does Cub Scouting develop young people? Cub Scouts work towards a Chief Scout Silver Award where the young people achieve success through fun. Trying new things, building leadership skills and independence are at the core of the challenge badges Cubs work towards. By the end of their time in Cubs, children are growing into young people with a sense of responsibility, belonging and self worth. They are increasingly independent and ready to take their place in the Scout troop. Do you thirst for adventure? Could you help transform lives? Cubs is arguably the most varied of the Scout sections. We need leaders and volunteers with a range of skills. Most importantly, Cub Scout volunteers need as much joy and enthusiasm as the young people we nurture.